"Kira" is a brand new single from upcoming Nigerian Act, Kdel. Kolawole Akindele, is a young and vibrant Afro-pop artiste who has worked with several other artistes in the music industry. As a prolific songwriter, he has also written a couple of songs for a number of these artistes as well. 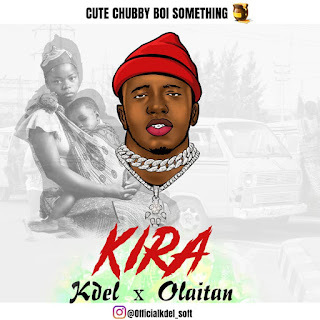 Kira is both traditional and refreshingly new, being a sneak peak into Kdel's artistic prowess and features the amazing vocals of Olaitan. It was written by Kdel and recorded & produced by Makoyor.